Starting over is never easy, but in Thunder Point, where newcomers are welcome and friends become family, it's possible to find yourself again. 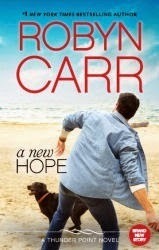 In this brand-new story, #1 New York Times bestselling author Robyn Carr takes us on a moving and rewarding journey as a young woman finds new hope. After losing her child, Ginger Dysart was lost in grief. But since moving to Thunder Point, a small town on the Oregon coast, and with the help of her cousin Ray Anne, Ginger is finally moving forward. Her job at the flower shop is peaceful and fulfilling, and she's excited to start her first big assignment, assisting with the Lacoumette wedding. In spite of her lasting heartache, Ginger finds herself swept up in the pleasure of the occasion. But the beauty of the Lacoumette farm and the joy of the gregarious family are ruined by an unfortunate encounter with the bride's brother, Matt. Struggling with painful memories of his own recent divorce, Matt makes a drunken spectacle of himself and Ginger when he tries to make a pass at her, forcing Ginger to flee the scene in embarrassment. But when Matt shows up at the flower shop determined to make amends, what started out as a humiliating first meeting blossoms into something much deeper than either of them expected. Discovering they have a lot in common, they form a solid friendship, though everyone around them worries that Ginger will end up with a broken heart yet again. But if Ginger has the courage to embrace the future, and if Matt can finally learn to let go of the past, there may still be hope for a happy ending. I've been a fan of this series ever since she started it. I love Thunder Point,a nd each time I go back it gets better. I can't wait to get this one as well and just take a nice jaunt back to the seaside town. Are you getting this?? 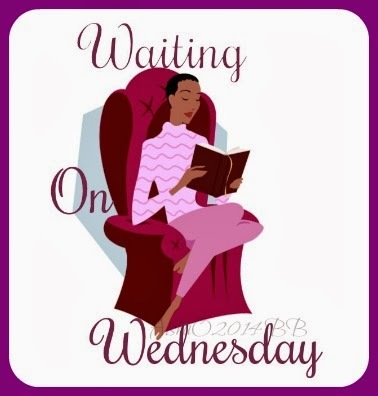 What's on your book lust list?? Share in the comments down below! !